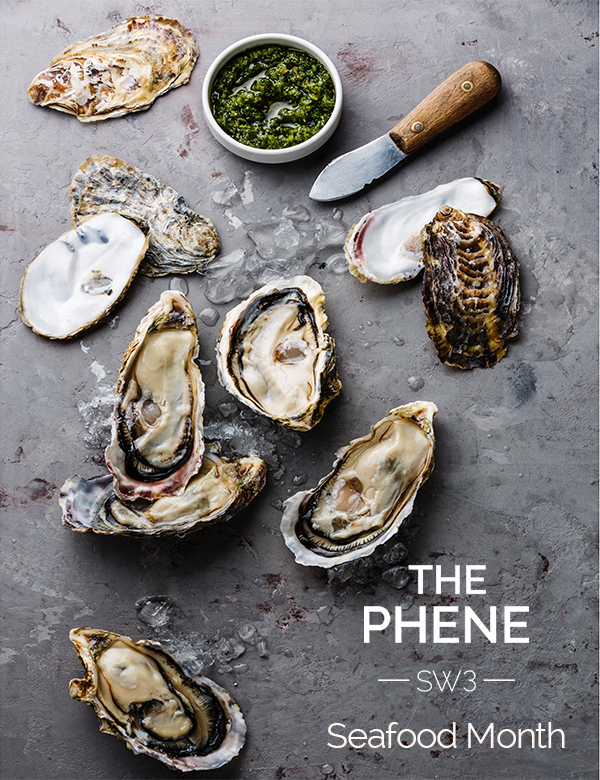 Tucked away in a leafy enclave just a short walk from the King’s Road, you’ll find our iconic Chelsea pub, The Phene. With a heritage stretching back to 1853, this imposing three-floor clubhouse-style venue is renowned in SW3 for its cosy bars, wonderful entertaining spaces and charming garden – a twinkling oasis of calm that is as welcoming in the winter as it is charming in the summer. Drop by for a drink in the saloon bar, or linger over dinner in our delightful Conservatory restaurant – we serve quality food with a range of delicious options for vegans, vegetarians and coeliacs. If you’re planning a private party, you couldn’t ask for a more luxurious setting. We offer a range of beautifully decorated rooms and spaces and can cater for events from 15-200 guests. Love great wine? Hate Mondays? We’ve just launched our Monday Wine Club. 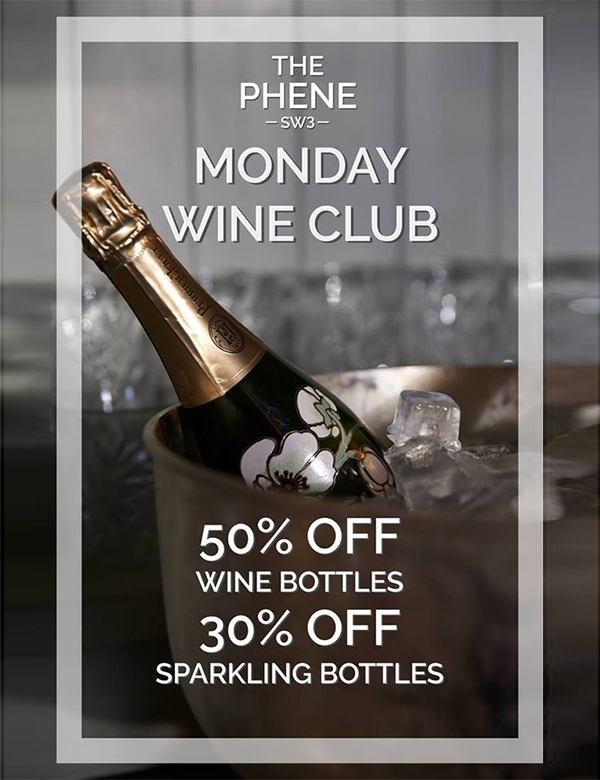 Simply turn up on a Monday for 50% off all wine and 30% off all sparkling. No strings attached. 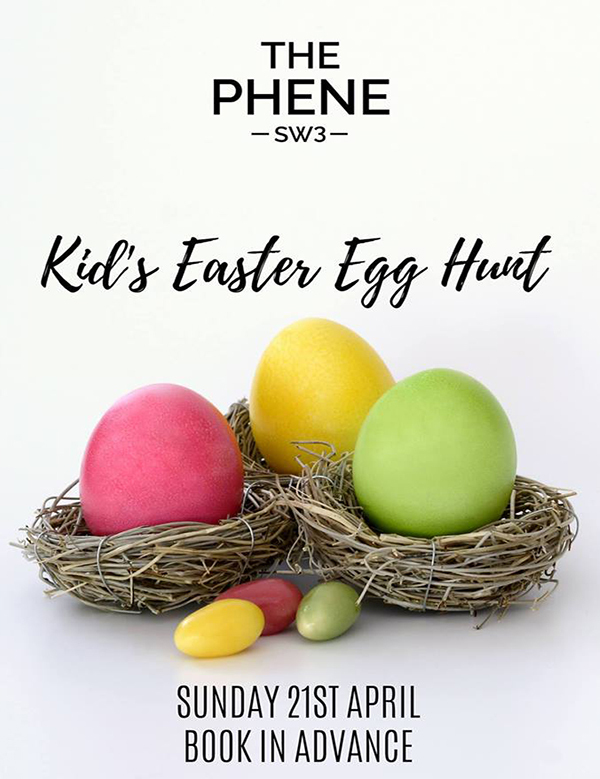 Join us on Easter Sunday for the best Sunday Roast in Chelsea and a fun-filled Easter egg hunt! Kids of all ages welcome. Must book in advance. Throughout April we’ll be celebrating British seafood across our menus. Join us for oyster shucking, wine tasting and much more! Champagne, oysters and early British sunshine make the perfect trio! *Please note that we do not take table reservations outside on the evenings or weekends.